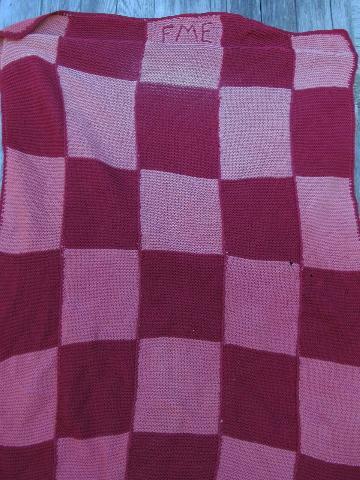 Two old knitted and crocheted wool throws, all old wool yarns, both with some holes and moth holes. 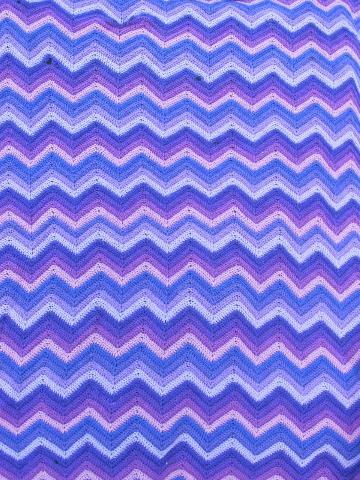 We love the colors (shades of purple and lavender chevrons in crochet, rose and burgundy wine in garter stitch knitting) and think these would probably make great thick wool material if felted? 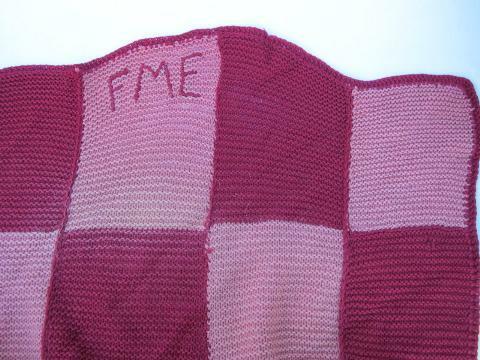 The knitted throw has a old monogram which could be removed, or maybe worked into a new design. 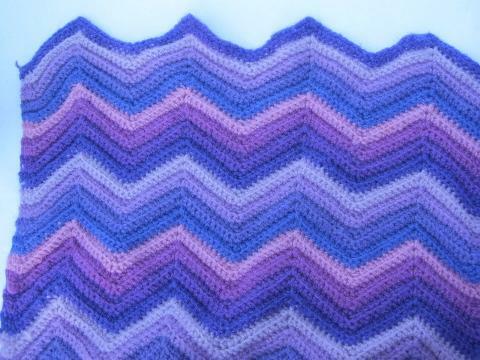 The knitted throw measures 50" x 36", the crocheted throw measures 64" x 54".